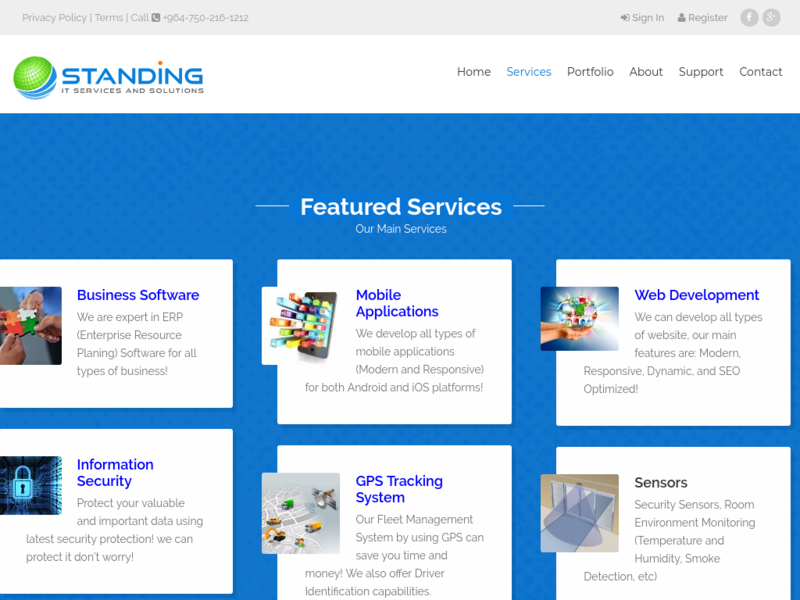 Standing Tech Company for information Technology Services and Solutions: We are software company, providing Web Design and Web Development, GPS Tracking, Fleet Management, Business Software, Database Applications, ERP Development, Hosting and Domain, Cloud Computing, Security Services, Mobile Application Development, E-Commerce Development, Payment Integration, Online Payment, Online Shopping. We always deliver latest technology to our clients, we consider compatibility and future expansion. We are not leaving anything without care! 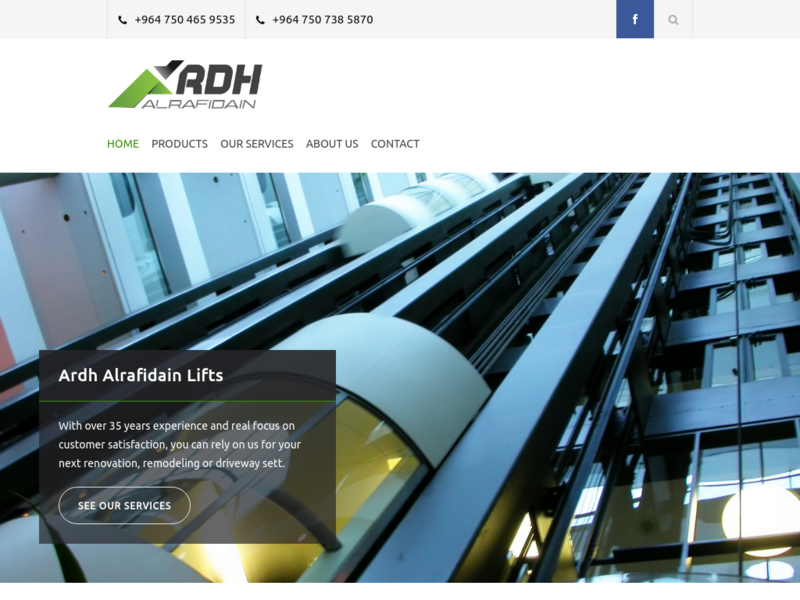 we take care of your business and provide services and solutions that covers all. 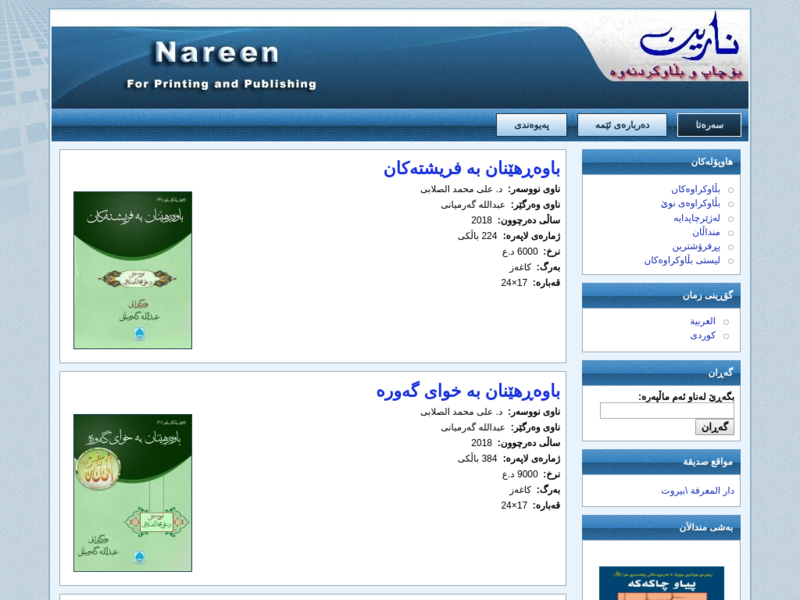 We provide latest tools and automated software to manage most of our service and solutions. As entrepreneurs we have experience figuring out new ways to get things done in professional way. We design our solutions that based on your problems, not just providing global solutions that might not fit! Consistency is our reliable measurement of total quality for our services! 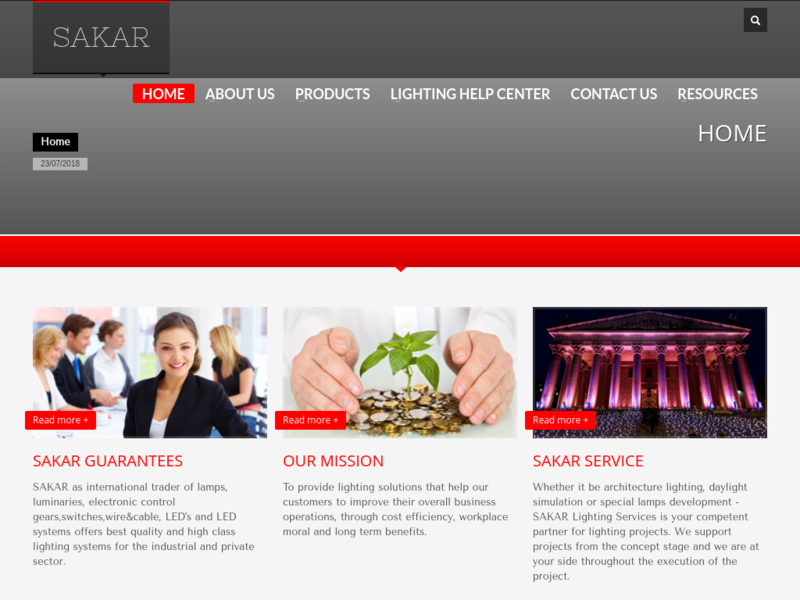 we also build our trust with our customers based on consistency! We provide 24x7 Support Service Availability to our customers. We are not looking for Revenue always! we considered our economic collapse in Kurdistan Region! 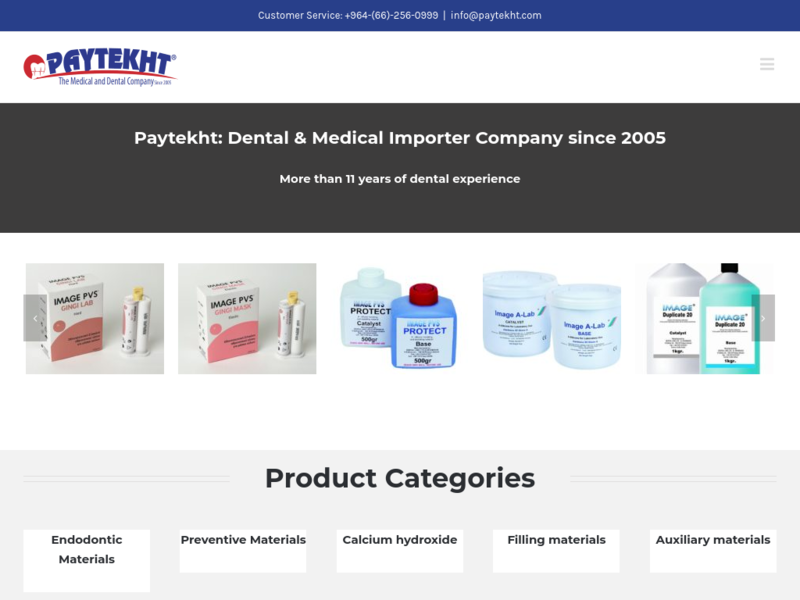 Ppaytekht.com – Medical Website: Wordpress Theme, Medical and Dental Importer Website, responsive Website, Professional Website, Clean theme and SEO optimized, made by Standing Tech Company in Erbil. 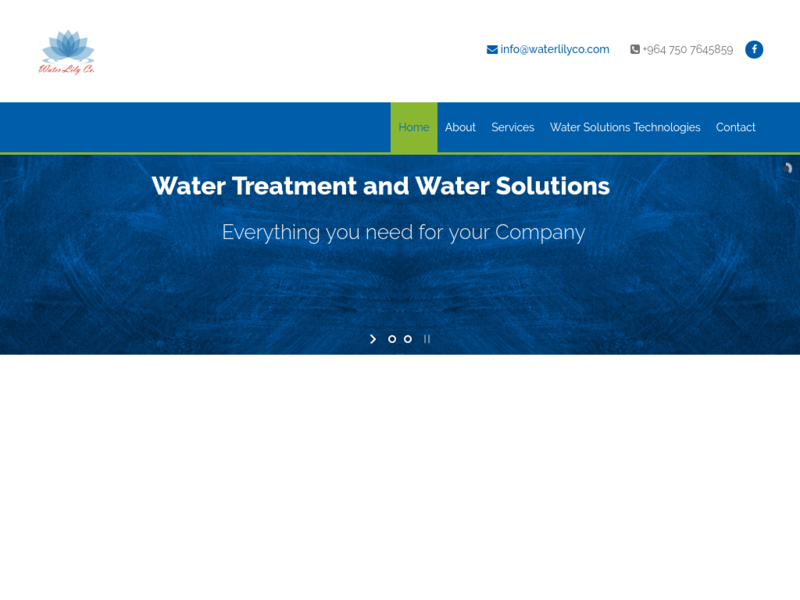 Responsive, Modern, and Professional Website for Waterlily Company, Water Solution and Treatment. 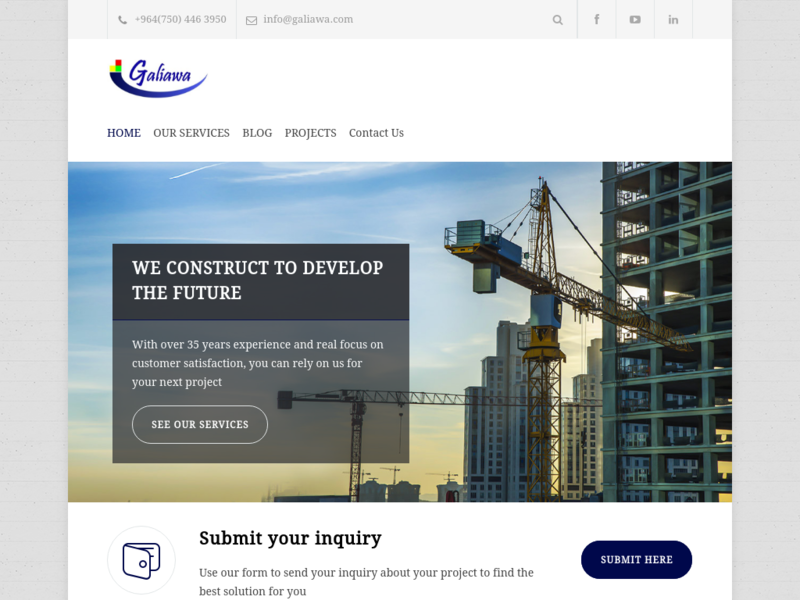 Online B2B Marketplace & Business Directory Website, Clean and Responsive Design, Mobile Version, Slider, Shopping and Trading, User Administration.